12 month subscription to the website, including access to Match Reports, Premier League Round Ups, 'the Week that Was', Members Forum and numerous other extras. 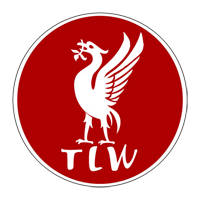 6 month subscription to the website, including access to Match Reports, Premier League Round Ups, 'the Week that Was', Members Forum and numerous other extras. 3 month subscription to the website, including access to Match Reports, Premier League Round Ups, 'the Week that Was', Members Forum and numerous other extras. Ideal for those of you just wanting to try it out.